Everyone knows that I love social sites and social apps... I recently signed up for a new social site/app. One that deals with posting photos of food. 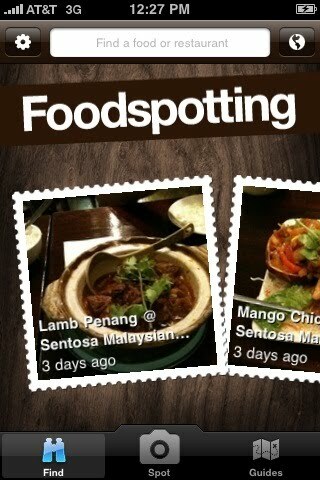 It's called "Foodspotting"... I'm totally excited about this one. It's not like Foursquare where you just post your location, but you actually get to post photos of what your eating and recommend it to people in your area! I took a screen grab of some food I posted the site... wooohooo! If your on the site add me.